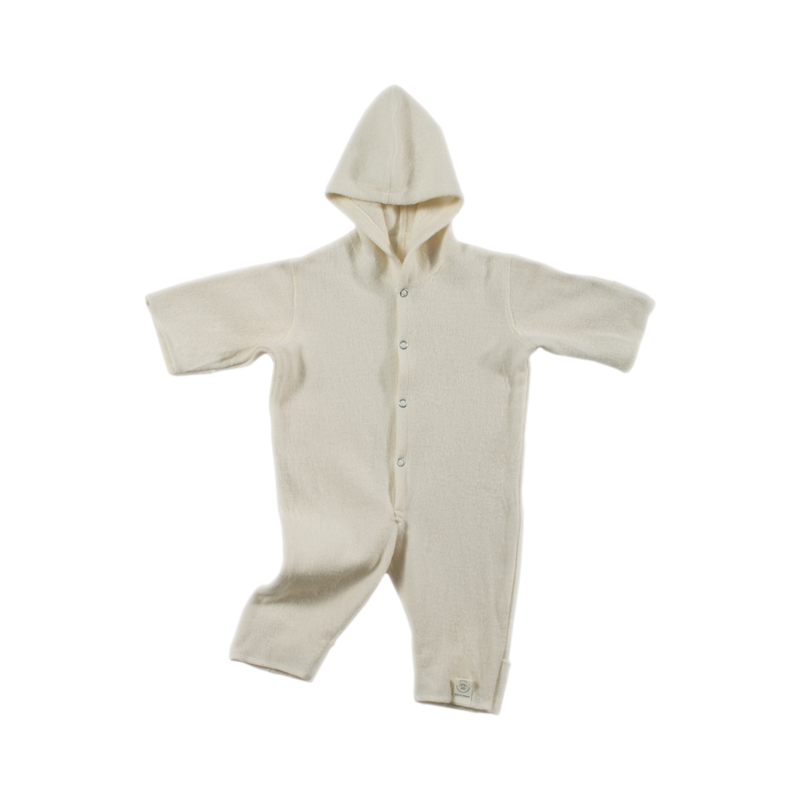 Natural wool baby coveralls comfortable and perfect for any outing. 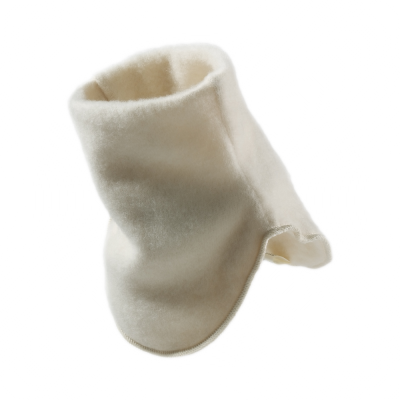 Sleeves and leg bottoms has flaps that will add warmth to babies hands and feet. 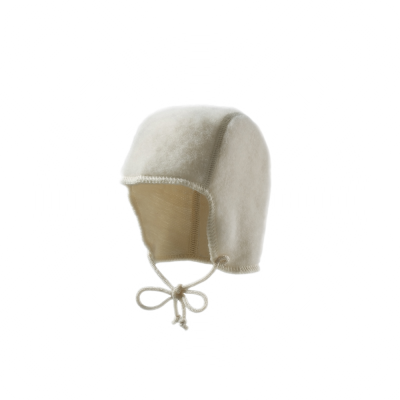 Light not bulky, adds comfort for baby to move easily.